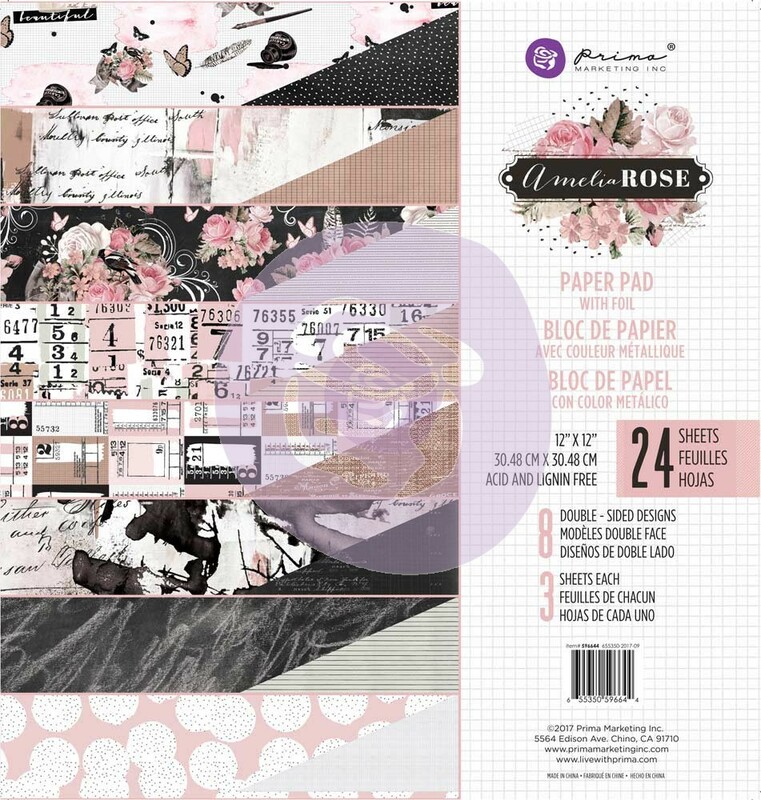 This 12"x 12" Amelia Rose Paper Pad Collection contains twenty-four (24) double sided Designer Papers. Papers are Decorated & Accented with hints of Rose Gold Foil. Look for coordinating Tickets, Journaling Cards and select Designer Papers. Part of the Amelia Rose Collection by Prima Marketing.